First published in 1989 when Manchester United was very different to the corporate beast it has become, United We Stand is an independent voice of Manchester United supporters. 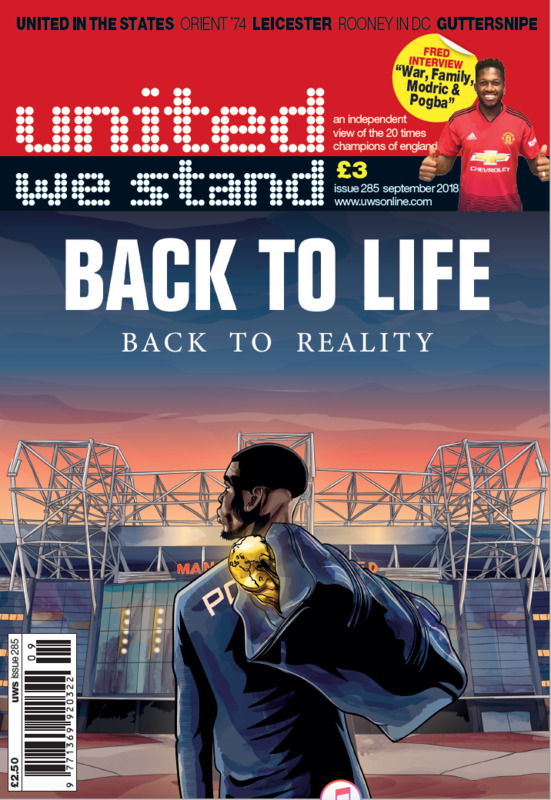 The majority of UWS writers watch Manchester United home and away and the mag has long been established as one of Britain's best selling football fanzines. Influential, incisive, irreverent and proudly independent, UWS tells it like it is. You might not always agree with the opinions within, but you'll take note. The mag has carried in depth interviews with United related personalities from Roy Keane to Ian Brown, Sir Alex Ferguson to officials like David Gill, Martin Edwards and Peter Kenyon. As we move into our third decade of publication, UWS is still going strong. Subscribe to United We Stand today. Copyright © 2019, United We Stand. All rights reserved.